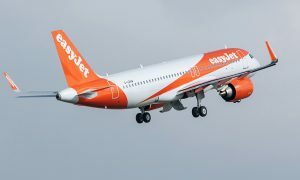 easyJet aims to double the proportion of new entrant pilots who are female over two years‎ in the first phase of a long term strategy to increase the proportion of female pilots at the airline. 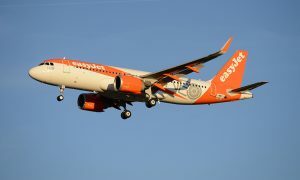 easyJet has today launched a new initiative to increase the proportion of new entrant easyJet pilots who are female. This is part of a new strategy to encourage the development of female pilots at all ranks and positions and will widen the pipeline of women who enter our pilot community. Just over 5% of easyJet’s 2,500 pilots are female, in line with the industry as a whole. Currently women make up 6% of easyJet’s new pilot intake. The airline plans to double the proportion of female new entrants to 12% over two years. This is the first phase of its long term strategy to increase the proportion of female pilots at the airline. “At easyJet we value diversity and we believe that having a workforce which better reflects our customers will help support our future success. We have made sustained progress in our senior management and M&A (management and administration) communities in recent years but we recognize that the proportion of our pilots who are female is too low, as it is across the industry as a whole.